Please leave your contact details and enter a short description of your dream adventure and we will forward your request to this travel company and 2 more industry expert companies that organise best trips in Vietnam. They will be in touch with tailored proposals within three working days. Destination: Ba Be National Park, Northeast, Vietnam. An early start to the day to make the most of what we have in store for you. We will pick you up from your hotel in Hanoi at 07:30 AM and then hit the road north towards Ba Be National Park. Lunch will be had in a restaurant in a village on the way, and then our route will take us up through the mountains and tea plantations to Ba Be lake, an amazing green lake in the middle of a natural green forest. You will then travel to the Tay village of Coc Toc, with its beautiful stilt houses and friendly population of Tay people, who make their living by fishing in the stunning Ba Be lakes and farming. You will stay in the homestay of a local family here, enjoying their wonderful hospitality. In the afternoon, you will have some time to explore the beautiful surroundings. You will then enter Hua Ma Cave which features thousands of stalactites and columns. You may also wish to take the option of walking or cycling around Coc Toc village, kayaking on the lake in boats that we reserve for our tour guests, or simply relaxing in the peaceful surroundings and enjoying the views. You will have the chance to explore the diverse and beautiful landscapes of Ba Be as you trek through the national park. To begin with, your local guide will take you to visit Coc Toc Village where the Tay people make a living through fishing in the lake. 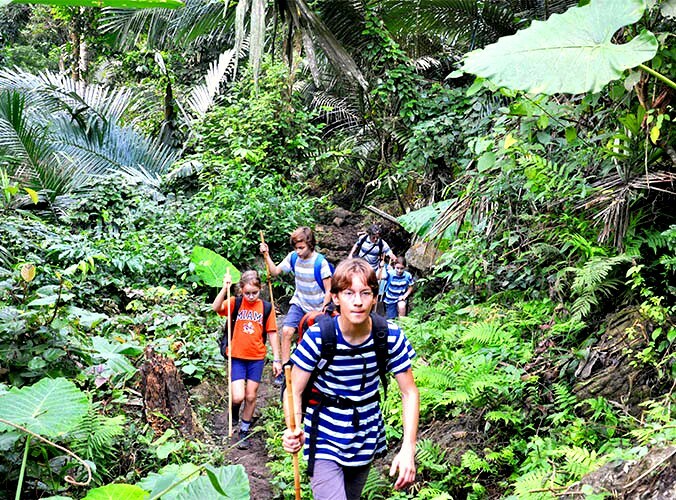 You will cross Pelu Stream and navigate some steep terrain, but as you gain height you will begin to see the beautiful views of the mountains. As you journey further towards the uplands, you will stop in a H'mong ethnic village where you will have a picnic lunch. Your guide will then take you through the vast mountain ranges and valleys to see the stilt houses and school of the Dzao people and along the trail to visit another H'mong ethnic village. You will then return to your homestay where you started this morning. After breakfast at the homestay, you will go on foot to Bo Lu Quay where you will board a boat trip around Ba Be Lake. You can relax on board, do some wildlife spotting or if you need to cool off, you can jump into the cool, clean waters for a refreshing swim! As you float down the Nang River, you can take in the scenery of the surrounding karsts decorated with patches of wild vegetation and inhabited by all sorts of interesting creatures. Look out for the rainbow of butterflies that flit across the sky or listen to the gentle song of the many species of birds in the park. 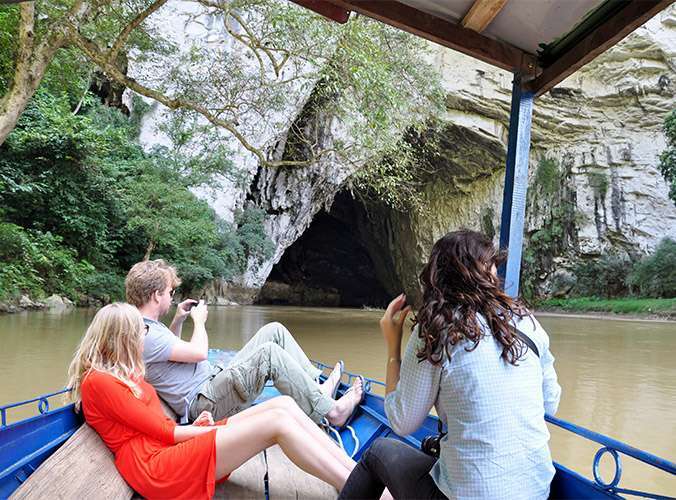 The boat will come to Puong Cave where you can explore the stalactites and stalagmites which are a result of the erosion of the river on the karst as well as looking out for the bat colony several thousand strong. 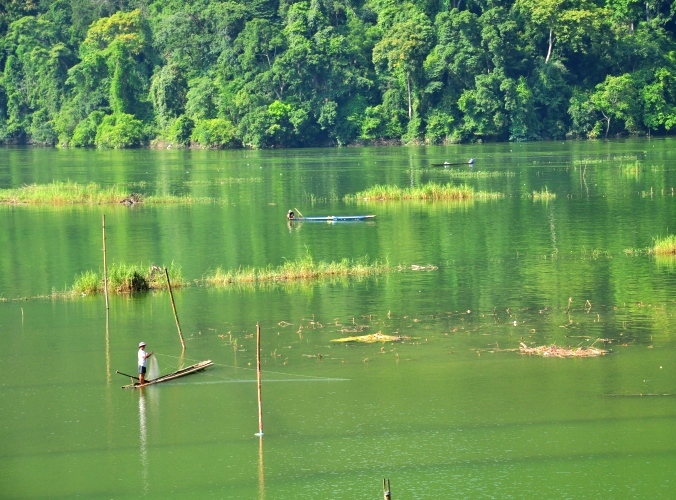 After your, exploration of the lake, you can rest on the drive back to Hanoi, taking in the beautiful scenery on the way. You will stop for lunch at a local restaurant on the way before arriving back in Hanoi at about 17:30. We take you to the parts other can't reach! From July to September, the climate is usually humid and hot. From October to June brings cooler and more pleasant weather. Our experienced and friendly Tour Guide(s) speak excellent English. They are extremely knowledgeable about local cultures, history and the environment. Our clean and comfortable homestay with mosquito net provided. + Experienced English speaking guide. + Other services not mentioned above. + Free of charge for children under 4 years sharing bed with parents. + Surcharge 70% rate of adult for children (5-11 years) sharing bed with parents. + Over 11 years is adult’s rate. * The itinerary can be changed due to weather, tide levels and operating conditions. * Special request (diet or vegetarian, …) should be sent before your departure date. + Pack essentials, including light comfortable clothes suitable for outdoor activities, comfortable walking shoes. Take a small day pack for hiking and trekking.